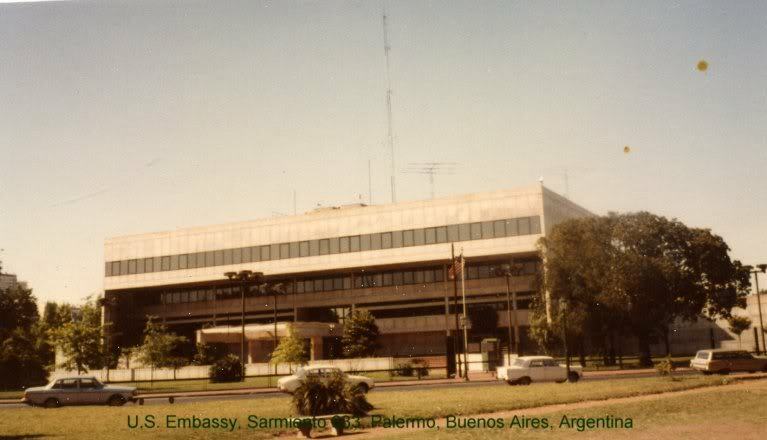 BUENOS AIRES, ARGENTINA- The employees of the United States Embassy in Argentina have their work cut out for them in improving international relations between the two countries. John Finn, Cultural Affairs Officer, said the people of Argentina have one of the lowest approval ratings of the U.S. worldwide. A large portion of the embassy’s energy goes to trying to promote understanding and to increase good press about the United States. They hope by doing this they will change outside opinions of the U.S.
For example, after the 2010 earthquake in Haiti, Argentine newspapers reported the U.S. presence there as a military invasion. U.S. presence in Haiti sparked much controversy, though Washington officials stressed that their occupancy was strictly humanitarian. Through public relations and communication the embassy was able to resist the negative effects of the reports. In addition to their efforts, the ambassador used many interviews to form a counter attack against the harmful press. Rose said within a few days the Argentine newspapers corrected their stories. The press section of the embassy works with both foreign and local media, including a daily informational packet known as The Washington File. This file contains daily updates about U.S. government policies. International affairs within the embassy are also aided by the Information Resource Center (IRC). They assist Argentines with the most recent information on U.S. law, government and policies affecting the bilateral relationship. It has a staff of three professional librarians and two assistants who are responsible for all requests for information from Argentines in the government, press, academia and organizations, according to the U.S. Embassy website http://argentina.usembassy.gov/res.html. IRC is also responsible for maintaining all of the available information databases the embassy possesses in both Spanish and English. Recently these information centers have grown to include more popular sites such as Facebook and Twitter. Not only do these sites allow instant updates, but they also appeal to a younger crowd, something the embassy has been striving toward.